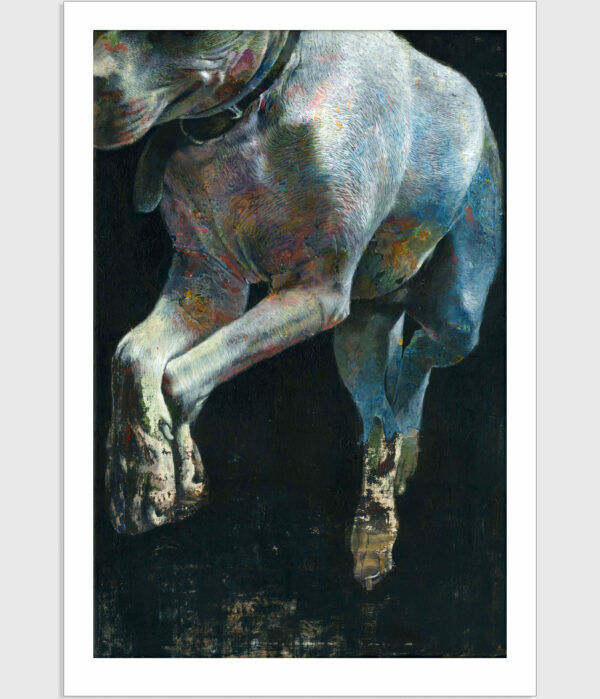 Saskia – Limited Edition 40.5x60cm. 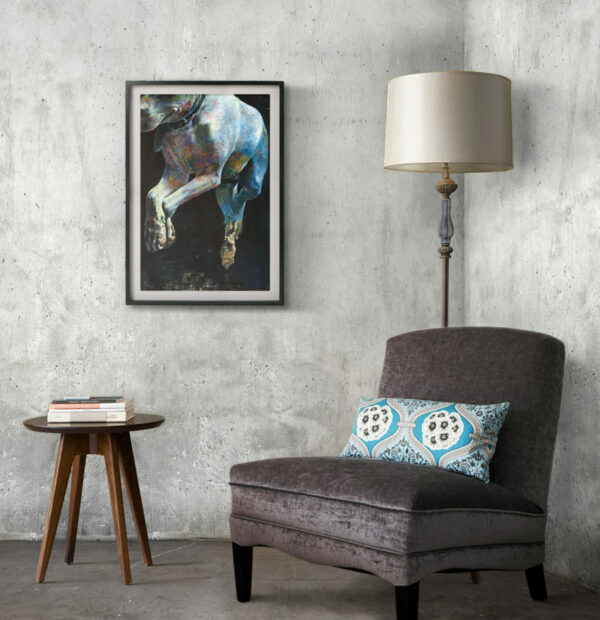 Home / Uncategorised / Saskia – Limited Edition 40.5x60cm. Paper size: 40.5 x 60 cm. 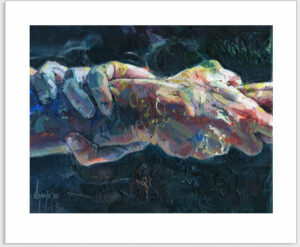 Image size: 35.5 x 54 cm. Limited edition of only 15 prints. 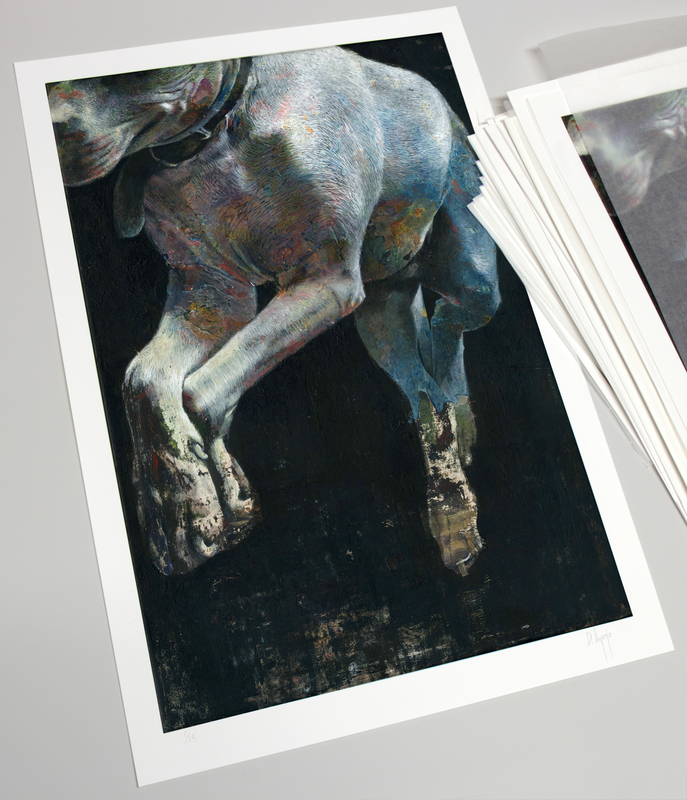 Printed on 310gsm Hahnemuhle German Etching paper numbered and signed by the artist. 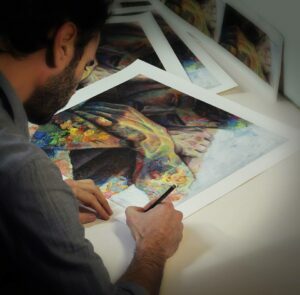 The print comes packed in acid free tissue carefully rolled in a tube and includes a signed certificate of authenticity. To ensure optimum quality and colour accuracy every print has been digitally scanned directly from the original painting. Delivered free of charge in Europe (£15 rest of the world). 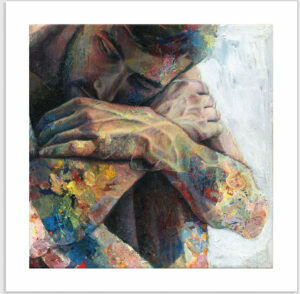 Bejin – Limited Edition 50x50cm. 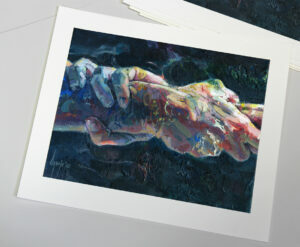 Hands-on II – Limited Edition 30x25cm.